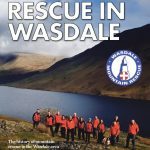 A book has been pulled together to celebrate the first 50 years of Wasdale Mountain Rescue Team (WMRT). All funds raised from the sales of the publication will be used to fund the future operation of the team. 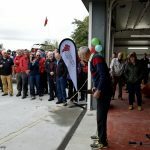 On Saturday 16th September, Wasdale Mountain Rescue Team’s purpose-designed new base was officially opened by the legendary fell-runner and Team Vice-President, Jos Naylor MBE. 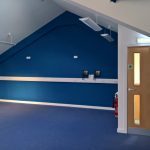 Yesterday Wasdale MRT accepted handover of their purpose-built new base from principal contractor Roland Hill Ltd. 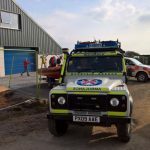 Some fitting out and testing of communications by the team is required prior to going operational in July. Thank you to all in the community who have supported this project and are instrumental in achieving this important milestone. 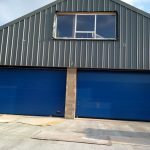 March has seen a huge amount progress with plaster boarding, cabling, plastering, the laying of the concrete floor, the commissioning of the garage doors and the ground source heat pump. 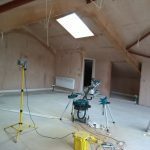 The kitchen has been fitted out as have both bath rooms and the communications installation is in progress. The annual Lingmell Dash takes place on 28th July at 14:30. All proceeds to the team. 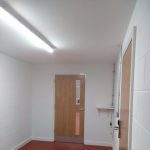 Venue: Wasdale Head Inn carpark, CA20 1EX. 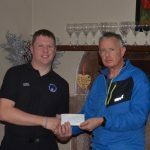 Members of Wasdale MRT were invited along to the Blengdale Runners AGM to receive a £400 donation from the proceeds of last year’s 2 road races.